These blocked stairs are located right near the Ivy Tunnel control point. Players wishing to take the stairs up or down are unable to do so. The stairs are luckily not the only way to get up to that area. Players discovered you can roll off the square to get down the stairs, but rolling won’t get you up. These are one-way stairs at the moment. Over on the Division subreddit, players are sharing images and stories about the blocked stairs. Most users just find the situation strange or funny. “I saw that the other day haha had me cracking up. This clearly shows Anthem is the superior game” commented one user on a popular Reddit post about the bug. A shot of the square blocking the stairs. Most players assumed their game was broken or not working properly and were surprised to see so many others reporting the same floating block. Even my own boss, Stephen Totilo, was surprised to find out that this was a bug that anyone could find in the world. “I was on that exact staircase yesterday and assumed my game had glitched! !” messaged Totilo after I shared screenshots of the bug and posts on the subreddit. If you, like me, missed this floating square when you visited this area don’t be alarmed. The square is only visible from the bottom or side. Coming down the stairs, you will see nothing as the top seems to be untextured. Though, while the blocked stairs are mostly a harmless and weird bug which are not causing anyone a lot of frustration, some players are using the stairs to their benefit, even if by accident. 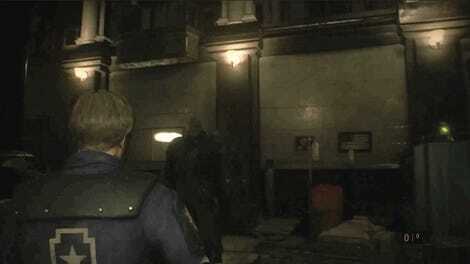 “This square saved me from my first encounter with the sledgehammer guy. He couldn’t get past it either.” commented mfathrowawaya on the Division subreddit. Unfortunately for another user, this same square trapped them in a similar situation and got them killed. The square giveth and the square taketh. 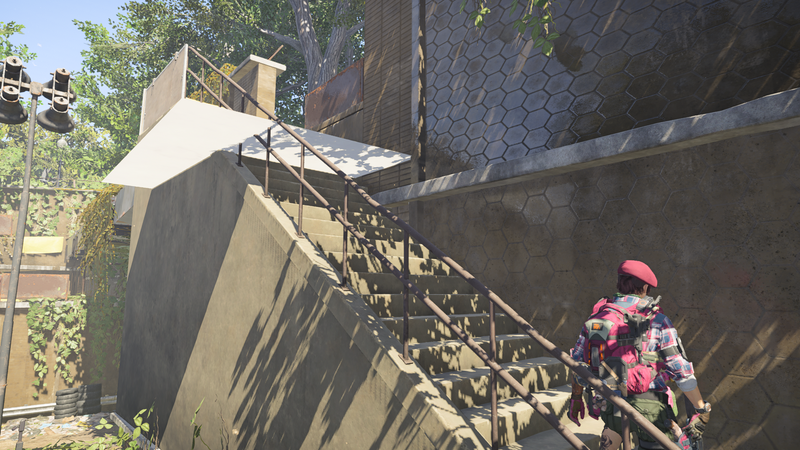 Many users have already reported the blocked stairs to publisher Ubisoft and The Division 2 developer Massive Entertainment. It most likely will be patched soon, assuming this is a simple thing to fix. Most users believe that the fix will be easy, just delete the box. Though one fan jokingly theorized this might be more important than we realize.